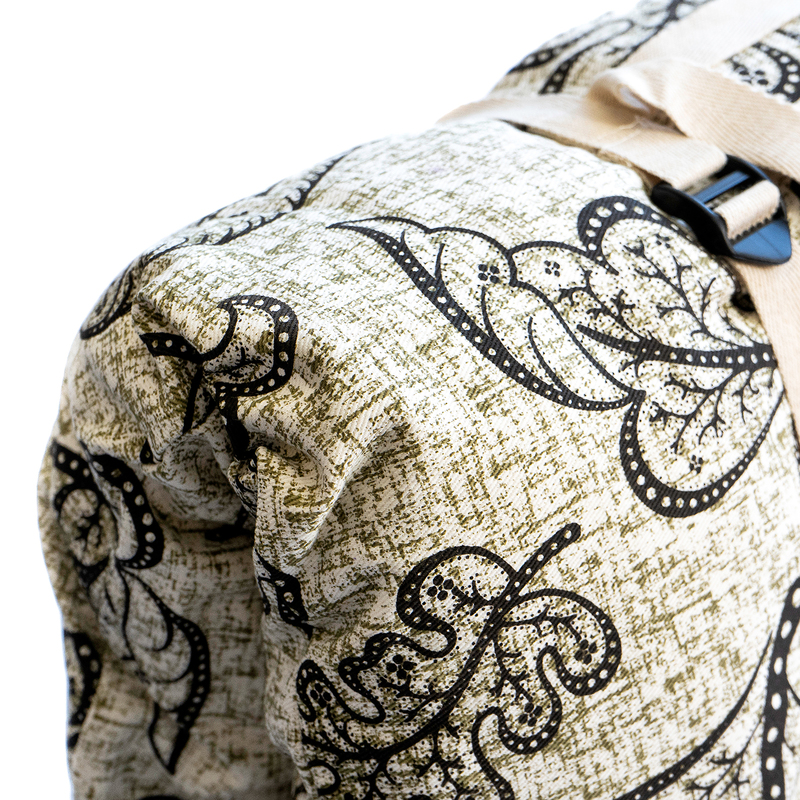 Our zabuton is filled with a generous three inches of natural cotton stuffing. The cotton is packed densely enough to provide solid support, and yet is soft enough to provide great comfort. 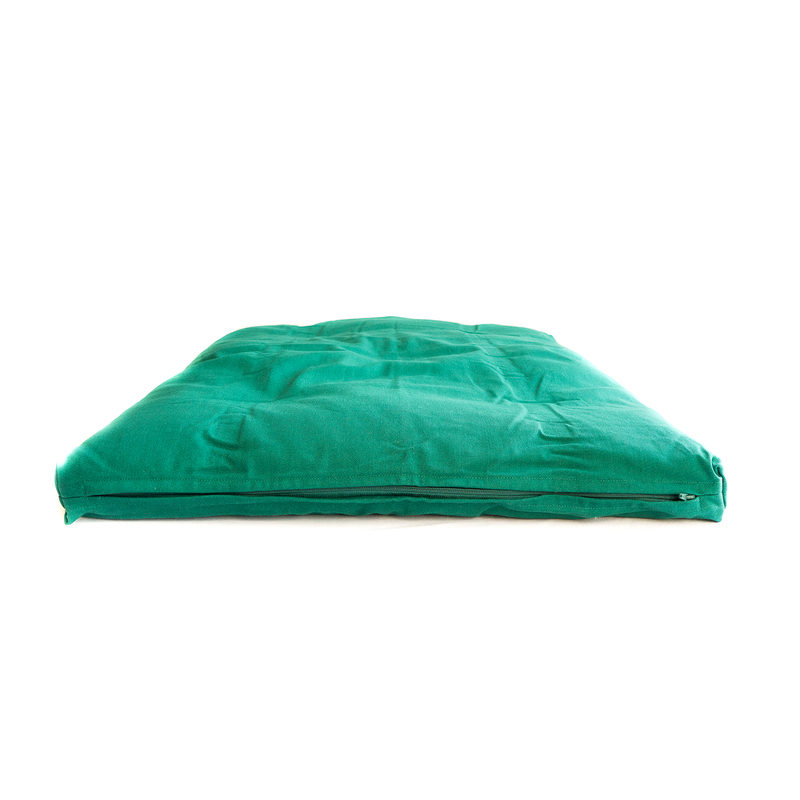 The outer cover is made of a sturdy, 100% twill cotton. The cover features a zipper along one length so that it can be easily removed and washed. Inside the cover, the batting is enclosed in a natural cotton casing. Each zabuton is 36'' long by 28'' wide by 3'' tall. Our zabuton is filled with a generous three inches of natural cotton stuffing. The cotton is packed densely enough to provide solid support, and yet is soft enough to provide great comfort. 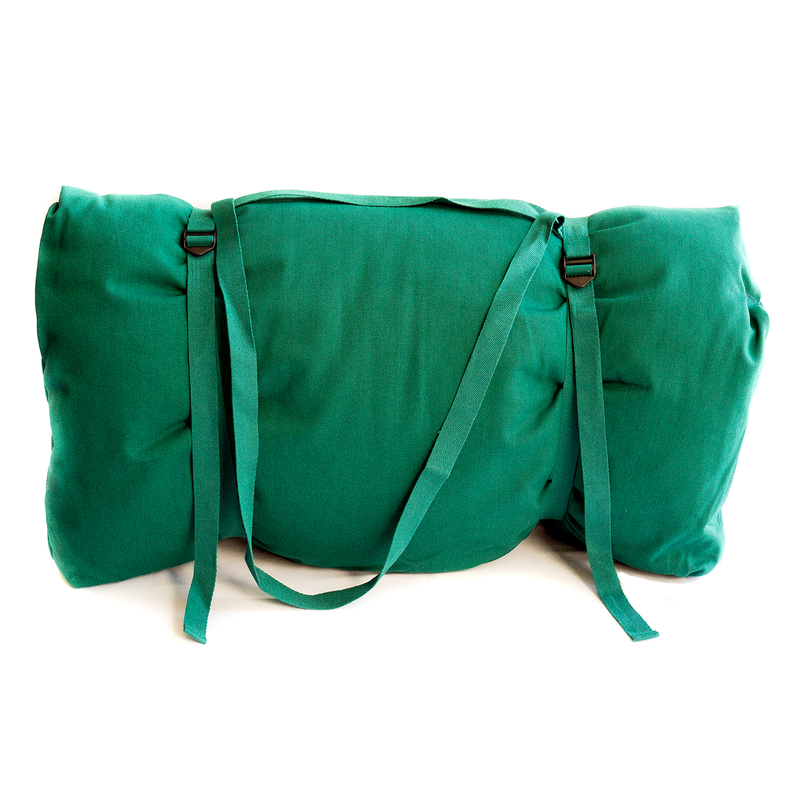 The outer cover is made of a sturdy, 100% twill cotton. The cover features a zipper along one length so that it can be easily removed and washed. Inside the cover, the batting is enclosed in a natural cotton casing. Each zabuton is 36'' long by 28'' wide by 3'' tall. Zabutons are rectangular cushions often used under a zafu cushion to provide comfort and support to assist you in your sitting practice. Zabutons are also very versatile yoga props, and can be used as a shoulder stand pad or as a bolster when folded in half. I just love this zabuton. It is just the right density - both solid support and soft comfort, the cover is durable and it is very well made. When I opened the box I was surprised by the color. The picture on the website makes it look sage green but it is actually a rich true green but it is beautiful. It is natural and doesn't have that heavy chemical smell so common these days. It is the perfect size and the perfect price for such a nice zabuton. I purchased this product the first time three years ago... it still looks like new. Great fabric and stuffing. My husband was jealous so I bought him this one in blue and he loves it. Actually everything I buy here is just wonderful! 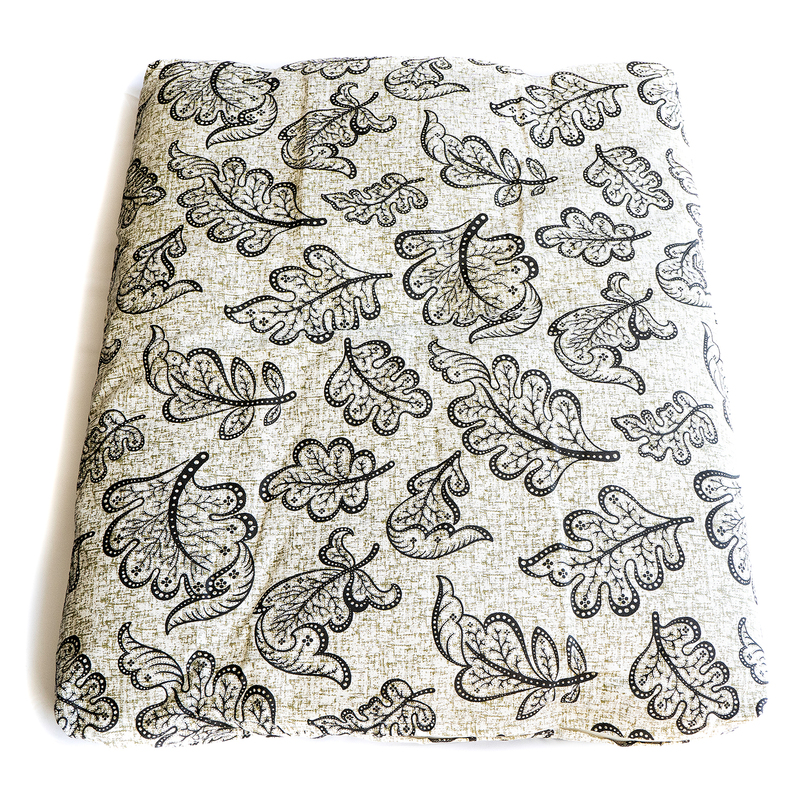 I purchased the zafu meditation cushion in black to match the Leaf design in this meditation May and LOVE it! Both products are very well made and easy to clean. 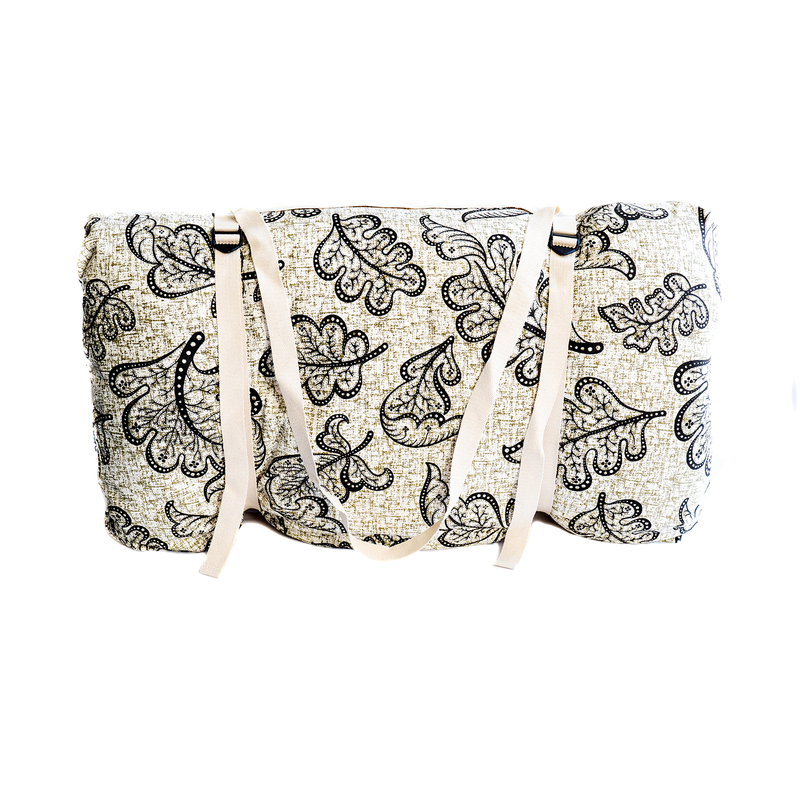 Love the natural Cotten and the beautiful leaf design! Purchased as a set for additional seating options in my home. I am big on not sitting in chairs all the time to increase and keep flexibility in my hips as I get older. It is so well made and comfortable to sit on, I can see how these would be ideal for long meditation sessions. I only wish I could get them in cream or lighter colors in the heavy cotton fabric. Fast shipping, great price! I am very happy with my new Zabuton Meditation Cushion. It has helped me meditate greatly. It has made meditating for long periods possible. Well worth the investment. 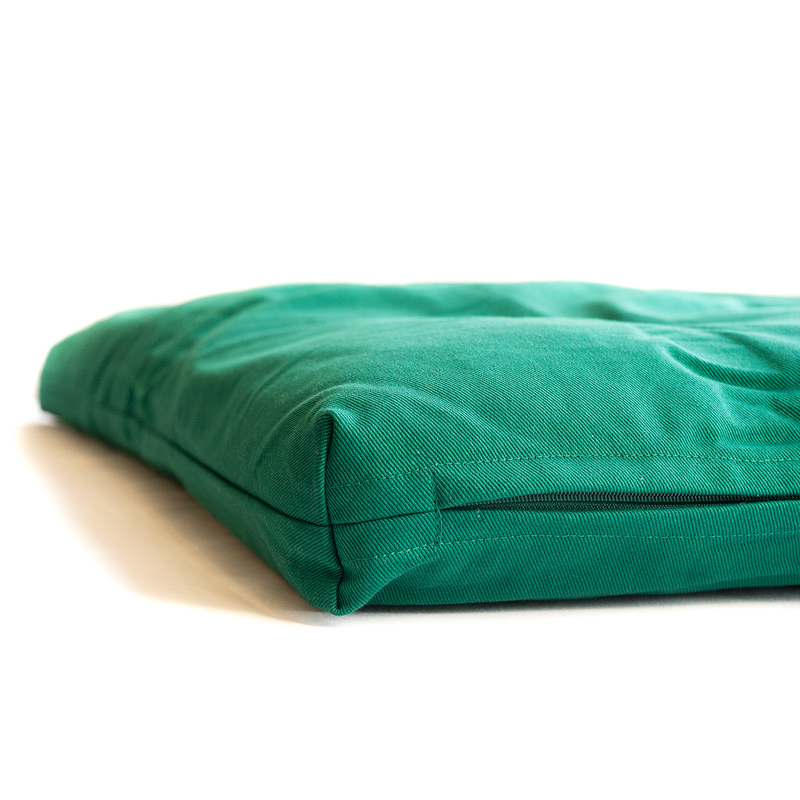 This meditation cushion is awesome! Comfortable and durable and it has a cover that you can take off and wash in case you just have to meditate in that mud puddle or on that dusty dirt path. It also comes with a strap/handle to wrap up the mat and take it with you where ever your meditation practice might lead you! See you in the ether!